Imagine that regular nail sitting in your tool box and think about how much it has evolved over the last few hundred years. In the 1600s the wooden peg became a wooden nail, then in the late nineteenth century a square-metal head replaced the wooden nail, and by the early 1900s the familiar rounded nail was invented. Tools evolved over time to make more detailed, sturdier and faster wood-working projects. Hammers, mallets, saws, planers, calibers, squares and even nails are tools that have been around for many years and used to build homes, ships and furniture. A carpenter in the seventeenth century would have several valuable tools that he carried with him everywhere. The most basic woodworking tool was the mallet that worked like a hammer to fit wood screw vices into place. Calipers were also a simple but very important tool for measuring the thickness of wood. Chisels had a sharp metal edge that when used alone or with a file could shape and add designs to wood. The saw had been around for thousands of years, but it wasn't until 1650 that it improved greatly with the invention of the steel hand saw. Boring tools were used to create holes in the wood like a drill and during the 1600s metal braces popularity replaced wooden pegs. Planes were used to smooth surfaces and add decorative finishes. With the boom of the Industrial Revolution, the 19th century brought about a great change in woodworking tools. The gimlet-pointed auger was a drill-like tool that made it possible to put holes in wood easily with a steady twist. Bench planes were different from the traditional plane because its adjustable use made it possible to smooth curved, flat and different shaped surfaces. No longer made with wood, ratchet braces made great improvements on holding wood together faster and stronger. Lathes shaped wood, circular saws cut the wood more smoothly, and the spring measuring tape made measuring easier and quicker. Here is a timeline of history from 1660-1950. It shows the different woods that were used to build furniture and the types of furniture that began to be built, such as the armoires and card tables. 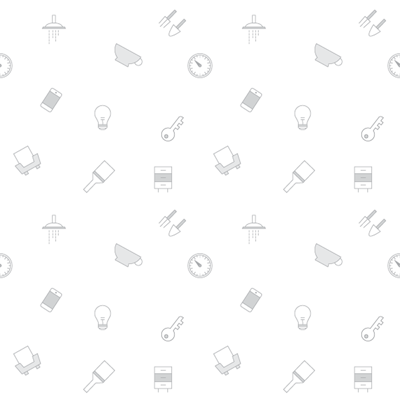 This site covers the complete history of tools and how they have transformed overtime. The chisel, smoothing and shaping tools have all transformed into better tools. Tools have been around as far back as 8000 B.C but overtime they have progressed into what they are today. This article covers the basic tools to build furniture, when they were invented and the evolution of the common tools such as the saw, chisel, planer and the hammer. As tools became easier to use, the technique in woodworking also changed. Read about the tools used and the techniques people did to build furniture. A very interesting Ebook about the city Jamestown during 1607-1934 and the different workers that contributed to the cities success. Look at the pictures of the tools used by carpenters and how they were used to build. A great list of tools that were used at the start of America and then a description of what each tool was used for. 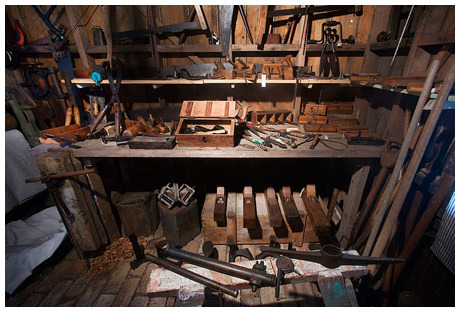 Read about Charles Colburn, a woodworker in Wisconsin in the late 19th century, and his tool chest that is still filled with 200 tools that he used to help build Wisconsin. Here is a brief list of tools carpenters, woodworkers or cabinet makers used to build furniture in the 1700s. This article covers how carpenters began their journey and the wood-working tools that filler their tool box. The spring measuring tape was invented in 1868 and made woodworking easier for carpenters. With over 140 pages you can learn about woodworking tools during the 1800s. Read in detail about axes, saws, rules, squares, gauges, levels, mallets, chisels, braces and miscellaneous tools. Did you know the first circular saw was invented in 1777? 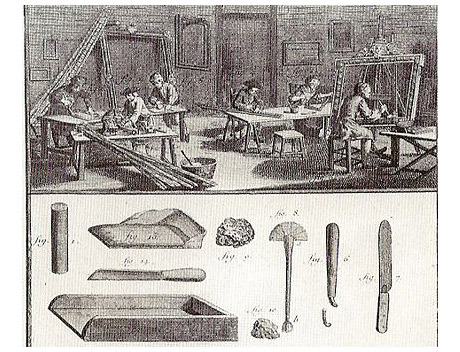 Read more about the history and invention of woodworking tools in this short article. Woodworking tools were basic, powerless tools until the Industrial Revolution that started in 1760. This revolution sparked the circular saw, plane devices, and moldings machines. Learn about the carpentry trade during the 19th century and the tools used and what they were used for. Check out this exhibit of late nineteenth-century woodworking tools including the turning saw, bow saw, and a brass plumb level. Learn more about the woodworking tools in this exhibit that features the most pertinent tools for carpenters in the 19th and 20th centuries. The most important woodworking tools to 16th century Americans, were tools used for ships and homes. These earlier tools included the broad and hewing ax, a framing chisel, various saws draw knife and a hand plane. Read about the different tools used throughout the 17th and 19th century in this Ebook written by Peter C. Walsh. Throughout the pages you will find illustrations of the tools, how they were used and what they were used for. Imagine that regular nail sitting in your tool box and think about how much it has evolved over the last few hundred years. In the 1600s the wooden peg became a wooden nail, then in the late nineteenth century a square-metal head replaced the wooden nail, and by the early 1900s the familiar rounded nail was invented.